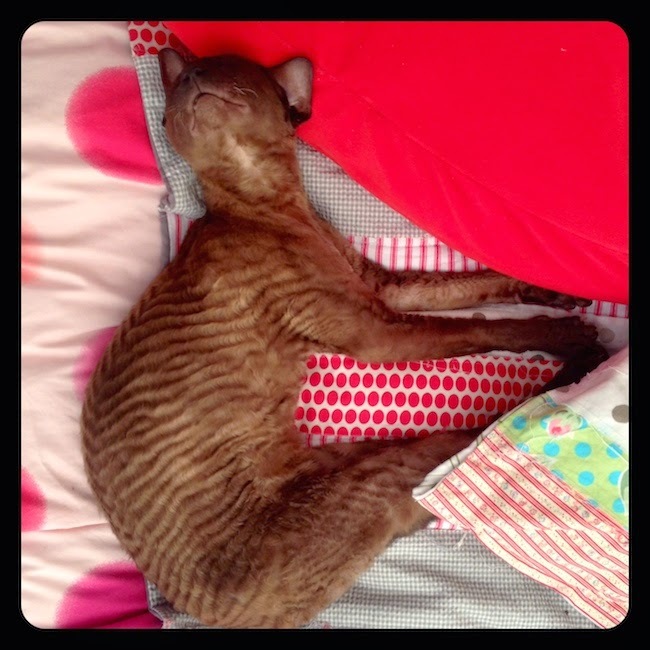 It's not like I need an excuse to pimp photographs of my beautiful, beloved Cornish Rex cats but as the theme for this week's The Gallery is animals, what's a girl to do? We are already on week 2 of the kids summer holiday and we've all but moved in to our beautiful SoulPad bell tent. We've spent more nights sleeping in the garden than we have in the house and I'm not just talking about the girls and I. 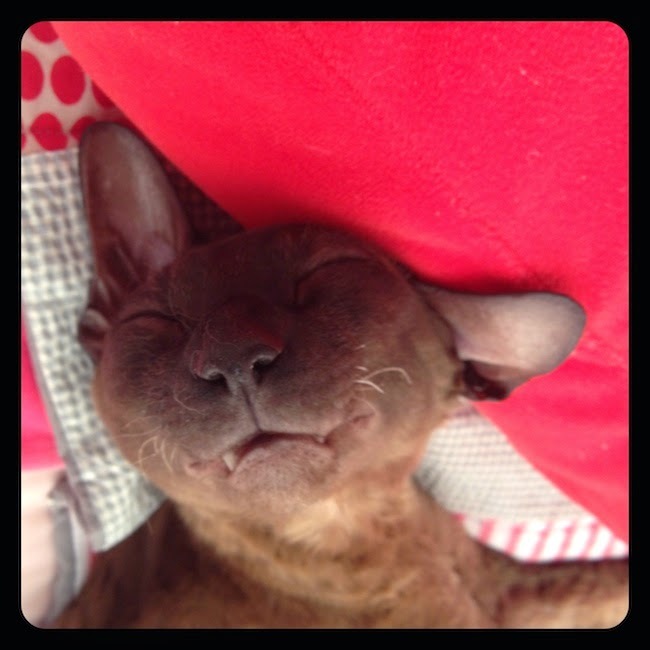 We have another bell tent lover... meet camping cat. She knocks on the tent door at about 11pm and in she comes.... snuggles down and is sparko till around 10am the next morning. I wish she could come to Camp Bestival with us because she doubles as a rather good hot water bottle!